George Clooney is on the run! Guess what Hollywood! George Clooney is headed back home to Los Angeles. He now fears that his palatial estate in England’s countryside will soon be overrun by Islamic extremists that have entered the country as refugees. That’s right! The champion of human rights himself is now living in fear of the humans whose “rights” he championed. Mr. Clooney’ wife, Amal, is of Lebanese descent and a human rights attorney. Their humanitarian efforts have made them a target of Islamic radicals and they have received threats in the past. George just doesn’t feel his family is safe anymore in England. Instead he’s choosing to move Amal and their twins back to California where they will be living just blocks from a LAPD station. The hypocrisy inherent in this is thick. I assume that when the Clooney’s take up residence once again in California that they will now take a harder stance on admitting Islamic refugees into the United States. One could even imagine that they will now side with President Donald Trump’s travel ban from outlaw, Islamic nations. 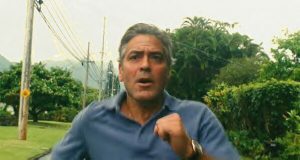 In March of 2016 Clooney referred to Donald Trump as a “xenophobic fascist.” Can we now assume that George will change his opinion of Trump and Islamic refugees since he is now literally running in fear from foreigners? I doubt it. Because of efforts like those enacted by the compassionate Clooney’s and their ilk England now houses an estimated 23,000 Islamic terrorists. Keep up the good work George. Keep fighting for those rights. Soon enough, even living in sunny California, you just may be fighting for your life.